The Kaizen digital pH meter measures pH levels accurately in liquid solutions and is an essential accessory for any hydroponic grow room. It’s range is 0.0 - 14.0 pH and displays a reading on the LED screen using increments of 0.1 pH which gives highly accurate measurements to ensure your solution is at the required level. 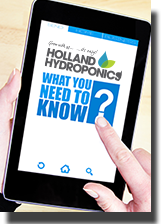 To help prolong the life & accuracy of your pH meter, we recommend you regularly calibrate it with a known or fixed pH level liquid and keep the probe clean and slightly moist at all times.